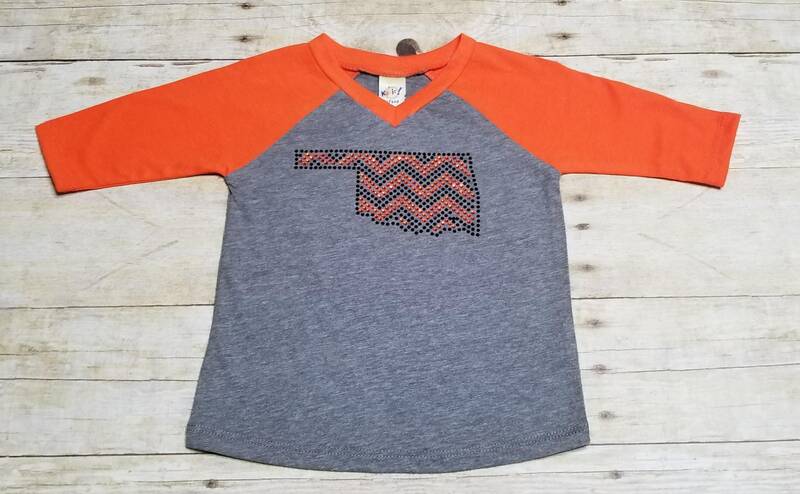 Oklahoma Orange Black Chevron Bling/Rhinestone on Gray Orange 3/4 sleeve T-Shirt*** Free Bow with Purchase! 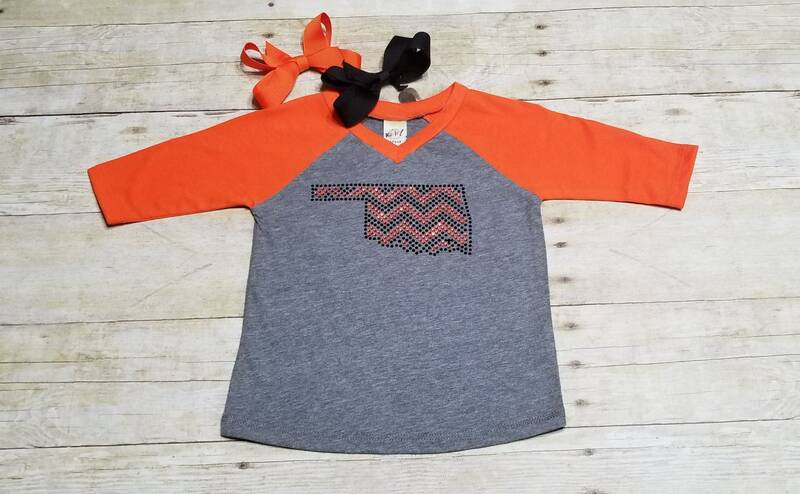 Oklahoma Orange + Black Chevron Bling/Rhinestone on Gray + Orange 3/4 sleeve T-Shirt*** Free Bow with Purchase! Check out our gray and orange raglan 3/4 sleeve t-shirt with the state of Oklahoma in orange and black rhinestones. Colors are perfect for lots of high school teams, or just to show your state pride! Sizes are limited and priced to move!